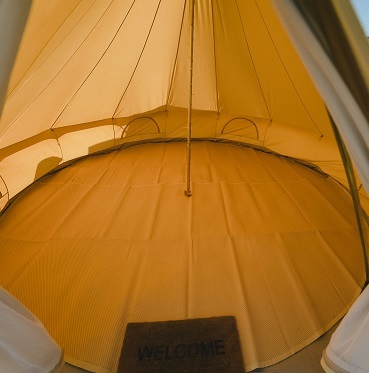 Light, spacious and airy, bell tents are a world away from ordinary festival camping. 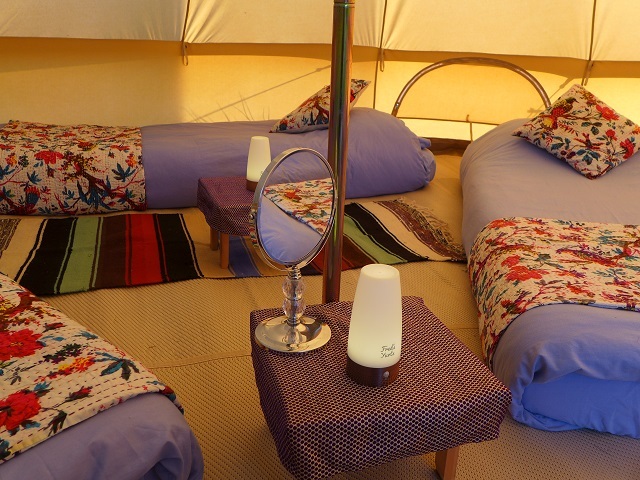 Book with Fred's Yurts and we will have your tent set up with everything ready for the perfect weekend. Tents will be available to book soon via The Big Cwtch box office. Bring your own beds or order airbeds as required. Prices cover both nights of the festival. Our classic package - add winter tog bedding packs, or bring your own. Comfy 6" thick mattresses, including memory foam. Doubles and singles available - please let us know what combination you need at time of booking. 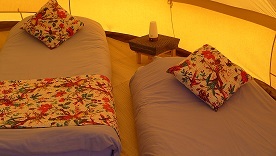 Prices cover both nights of the festival and include sheeted mattresses. 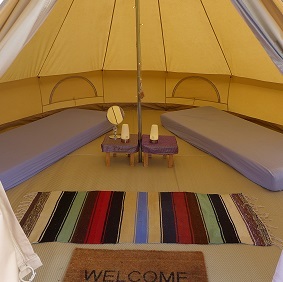 Everything included - leave your camping gear behind and arrive to find everything ready and waiting. 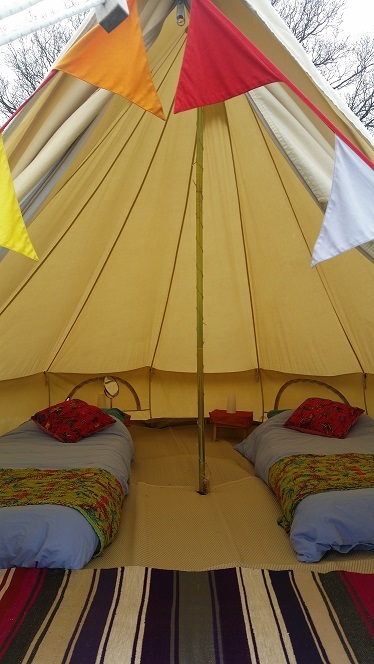 Prices cover both nights of the festival and include sheeted mattresses with winter tog bedding. If unavailable leave a voice message and receive a call back within 24 hrs.